Ahhh, the GRE! The first step needed to get going on your graduate degree. GRE stands Graduation Record Examination and can be an unpleasant surprise if you are not familiar with it and without a few GRE study tips, it can be even more difficult. Before hitting the books, take a little bit of time to get organized and prepared. Getting all the information you can about what is on the test and having your study tools available will make it easier to study. Plan on spending time preparing if you have certain goals for how well you do. 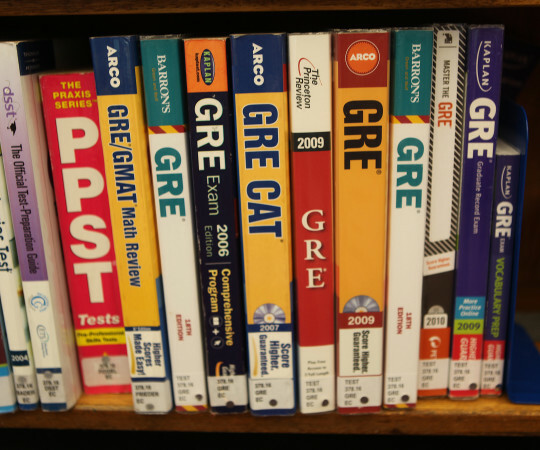 For most people, the GRE is a test that take preparation. We all know how students tend to procrastinate, but you don’t want to be a slave to this nasty habit when preparing for your GRE. Start early. Get informed and gather all the sources for your preparation. Don’t waste your time and think how you will have enough time to prepare it if you start tomorrow. Those who say this usually don’t see the “tomorrow” because they come up with more important things to do. Don’t be lazy. You want to score well on this test, and you want it to be the best you can reasonably do. This test is harder than you think. There are different areas you will need to master before taking the exam, and we are quite sure you don’t remember all that algebra you took years ago! It took you years to study it, don’t expect you can revisit it and memorize it in a couple of days. Yes, there are those that CAN do that but are you one of them? Depending on your major, you will probably have some very familiar subjects to cover and some areas you didn’t have a chance to get in touch with since high school. IT and engineers don’t cover alot of social sciences, depending upon the school they attend as one example. 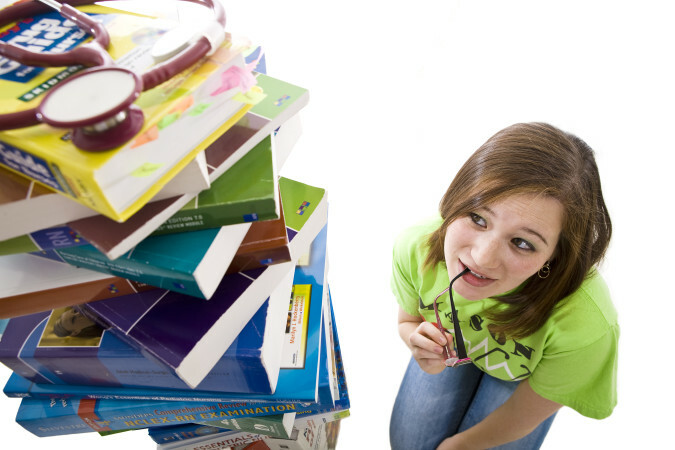 When preparing for a GRE test you have to cover a wide spectrum of topics and subjects. So review the various topics that are on the GRE and determine which areas need extra attention. Vocabulary and language you use every day is not subjects that you will find on the GRE. You will come across some expressions and words you and your buddies are not familiar with and definitely don’t use daily. Do you get the picture now? Time flies, and you need to start prepping now. Vocabulary is not a one-day-I-will-learn-it-all. It’s impossible to memorize all the words you come across during your GRE. If you start early and use tips and hacks for memorizing a new word, you will find it easy. It comes naturally for us to accept and integrate new words that we use daily. Selfie? This word was crazy new and strange, but now it’s well-known all over the world because you see it and hear it all around you. Do this with the words you need to build into your vocabulary. You need to make new words a part of your vocabulary just like milk and Oreo. Use flashcards, for example, or write words on memo-sticks and stick it all around. Make sure you set your eyes on those words often and we guarantee you will think of them more than you can imagine. When you learn new things, you want to learn them from scratch because the house has no purpose (and it doesn’t exist) if it has no foundation or roof. Begin at the beginning is and finish where the end is. Think of the subject you are studying as a puzzle. To get the whole picture, you need to know all the pieces and put them in their place. This takes a lot of time. That is why you get so confused when you study for an exam the night before. All the information needs time to find a place in your head and settle down. Once you gave it some time, the puzzle will be complete, and you will be able to easily connect different parts of the subjects and make conclusions. We cannot learn anything if we don’t want to. This is psychologically proven. You can spend hours and hours reading pages, and if you are not focused enough or interested enough, you won’t remember much. Our attention is the primary factor in memorizing things. This is why it’s so important to stay interested in the matter and to make the subject important to you (at least for this time period). It will help you keep your eyes and brain concentrating on the subject . Use brain maps (google it), add some color to your note cards if you are more of a visual type, draw different shapes and make “plans” of the topics. 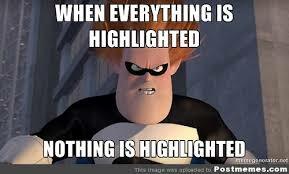 Highlight the most important things and try to memorize them first, then slowly expand the “plan” and try to remember more things about every highlighted item. If you are more of a sequential person who likes doing things “how they are meant to be done”, take small steps and study little by little. Set daily study goals and divide topics by days. This will keep you motivated, and you will be more in touch with the time. The less you study now, the more you will have to do tomorrow. If you find it difficult to organize, understand or you feel overwhelmed, don’t be ashamed. We always had help in schools, so why not now? Ask someone who already took the GRE test to share their experience and information you could find useful. Maybe they will share some tips with you and help you out. Finding a private tutor is one of the best things you could invest in as well. Having a private tutor will help you organize better, stay on track of what you need to lear, and you will make better progress. Tutors can give you exams similar to GRE and they are always there to answer any question and make clear anything you don’t understand. They will help you out with any weak areas (many students find that a GRE math tutor makes all the difference in how well they do) and teach you how to study efficiently and economically. Check out the internet for online GRE samples and take them seriously. Try to take these exams and see what the real GRE will look like. This can help you in so many ways: you will see how the test looks like, you will know what your weak spots are, and you will reduce the probability of surprise when the real exam comes. Many students have problems with anxiety and stress before taking an exam, and this reduces their concentration and performance. 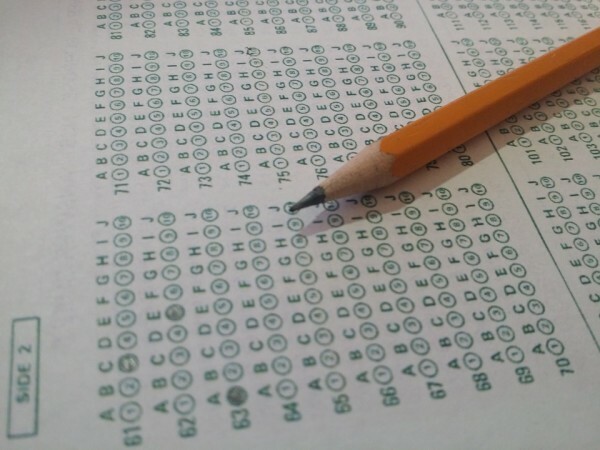 Seeing the exam before you take it will help you get to know the exam, and you won’t feel that nervous anymore.